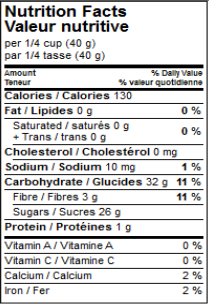 Our Canadian wild blueberries are simply delicious and nutritious! Bursting with flavour, they are dried slowly to preserve their soft texture and are sure to add an irresistible taste to your breakfasts and snacks! Polyphenols are antioxidants naturally present in blueberries. organic wild blueberries, organic apple juice concentrate, organic sunflower oil (less than 1%). We practice organic farming, which means we do not use any genetically modified ingredients, nor any chemical artificial fertilizers or pesticides. Known for their antioxidant properties, polyphenols are naturally present in wild blueberries and apples. 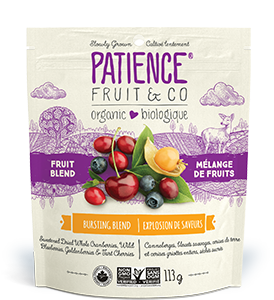 Our dried blueberries are sweetened with apple juice and contain 190 mg of polyphenols per 40 g serving. 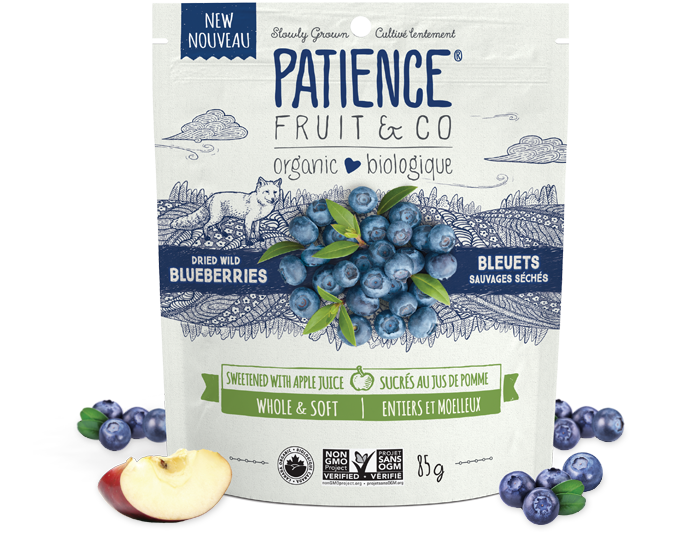 Our wild blueberries come primarily from Quebec and New Brunswick, where they grow naturally. 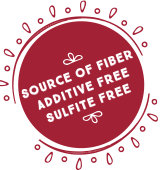 Although they are smaller than blueberries grown conventionally on farms, they also contain more polyphenols! For a balanced breakfast, add some dried blueberries! Tender and delicious, they are the perfect topping for your yogurt, oatmeal or cereal if you want to add a bit of flavour and texture. We believe everyone should be able to enjoy softer and tastier berries. We are the only ones offering whole berries such as these, obtained through our own unique process and available in three versions: Gently Sweetened, Sweetened with Apple Juice and Berry Blend. 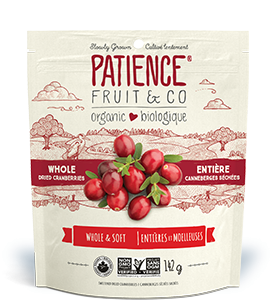 These delicious, exquisitely tender whole dried cranberries will delight all berry enthusiasts. The flavours in our exclusive blend of berries complement each other so well, and pop so vibrantly in your mouth, you won’t be able to resist them.